W. W. Norton & Company, 9781324001256, 240pp. When Timothy D. Walker started teaching fifth graders at a Helsinki public school, he began a search for the secrets behind the successes of Finland's schools. Walker wrote about several of those discoveries, and his Atlantic articles on this subject became hot topics of conversation. 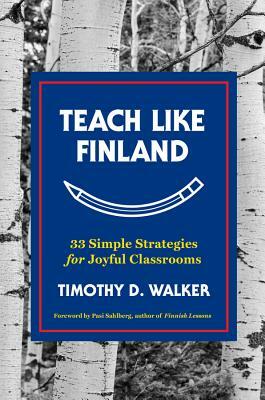 Here, he gathers all he learned and reveals how any teacher can implement many of Finland's best practices. From incorporating brain breaks to offering a peaceful learning environment, this book pulls back the curtain on the joyful teaching practices of the world's most lauded school system. His message is simple but profound: these Finland-inspired strategies can be used in the U.S. and other countries. No educator--or parent of a school-aged child--will want to miss out on the message of joy and change conveyed in this book.